Home This Week's Edition From the Editor Editors Blog: Why Did Netanyahu Support Israel-Poland Agreement? 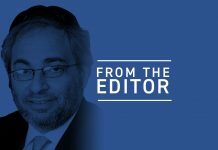 Editors Blog: Why Did Netanyahu Support Israel-Poland Agreement? 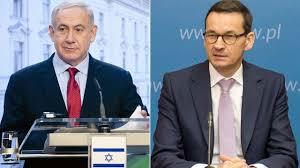 Prime Minister Netanyahu and Polish President Mateusz Morawiecki signed an agreement this week that acknowledges the Polish effort during World War II to save Jews and defeat Nazism. The agreement came about as Poland sent aside a new law that makes it illegal to say the words, “Polish Death Camps,” or to suggest that Poles were complicit in the Nazi slaughter of Jews during that period. As a result, Israeli government officials such as Education Naftali Bennett and Justice and Justice Minister Ayelet Shaken as well as directors and officers of the Yad Vashem Holocaust Memorial in Jerusalem have stated that the basis for the joint statement is wholly erroneous. Poland’s sole objective here is denying cooperating with the Nazis to murder of millions of Jews. It would follow that they are denying they have an obligation to pay reparations to Polish citizens who were victims of the Nazis and their Polish collaborators. Acknowledging this economic obligation could cost Poland hundreds of billions of dollars. Those kind of payments can collapse the country’s economy. History can confirm Polish complicity with the Germans in the murder of Jews as can survivors still living today who witnessed the worst kind of torture at the hands of everyday Poles. So why is Prime Minister Netanyahu playing along with this charade? For now that’s a good question as well as a bit of a mystery. Just give it a little time.